Benny E. Woodruff, 72, of Odon, Indiana, peacefully went to Heaven surrounded by his family, at Newburgh, Indiana on Tuesday, December 4, 2018. He was born on September 28, 1946 in Washington, Indiana to Austin and Clara (Hinkle) Woodruff. Benny married the love of his life, Carolyn (Arthur) Woodruff on June 4, 1966. 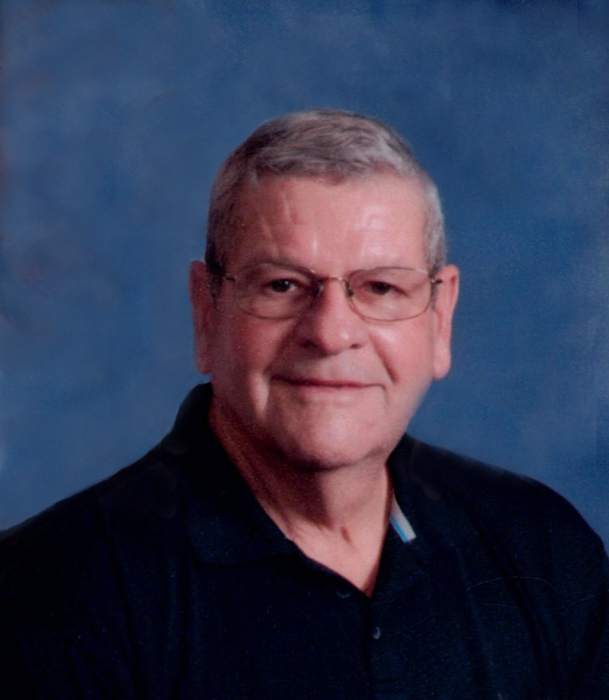 Benny was a member of the Elnora Christian Church, the Indiana Bus Drivers Association, NRA, and was on the North Daviess School Board for 12 years. He served as an Elder at his church and was a Reserve Deputy for Daviess County. He was the only non-doctor to receive the Doctor Hannah Indianapolis 500 Emergency Medical Award from the Indianapolis Motor Speedway and was first in his class at the Grand American Trap Shoot in Ohio. Benny loved being a farmer and driving the school bus for the North Daviess Community Schools. Benny also worked many years for Poindexter’s Ambulance Service. He also owned W&G Ambulance Service and MC Ambulance Service. Benny enjoyed his many visits with the residents of Ketcham Memorial Center, he especially enjoyed it when Evan went with him. He enjoyed watching sports on TV and attending any event when his grandkids were participants. Family left behind to cherish Benny’s memory is: his wife, Carolyn Woodruff of Odon; two sons, Todd A. (Amanda) Woodruff of Odon and Troy A. (Melissa) Woodruff of Vincennes; grandchildren, Tyler Woodruff, Brandon Woodruff, Riley Woodruff, Austin Woodruff and Evan Woodruff; brothers, Richard (Mary) Woodruff of Odon, Dale (Lois) Woodruff of Hartsville, OH and Larry (Wanda) Woodruff of Odon; mother-in-law, Mary Arthur of Elnora; brother-in-law, Bob Arthur of Elnora; sisters-in-law, Peggy (Gary) Long of Washington and Trish (Jay) Lowe of Greencastle. Also surviving are twelve nephews; five nieces; several great-nephews and great-nieces. Benny was preceded in death by: his parents; father-in-law, Otto ‘Seet’ Arthur; sisters, Monna Eagle and Dee Cornelius; nephew, Kevin Woodruff; great-nephew, Travis Woodruff and sister-in-law, Kay Arthur. Funeral Services are scheduled for 11:00 AM on Saturday, December 8, 2018 at Elnora Christian Church with Brother Richard Smith and Jim Pieper officiating. Benny will be laid to rest in Fairview Cemetery in Elnora. Family and friends may call from 2:00 PM until 8:00 PM on Friday, December 7 and from 9:00 AM until the time of service at 11:00 AM on Saturday, at the church. Memorial contributions may be made to the American Cancer Society or the Elnora Christian Church in memory of Benny. Envelopes will be available at the church.